Trees have always been a favorite subject of mine. I’ve always loved the way they branch out in various ways in their quest for sunlight. 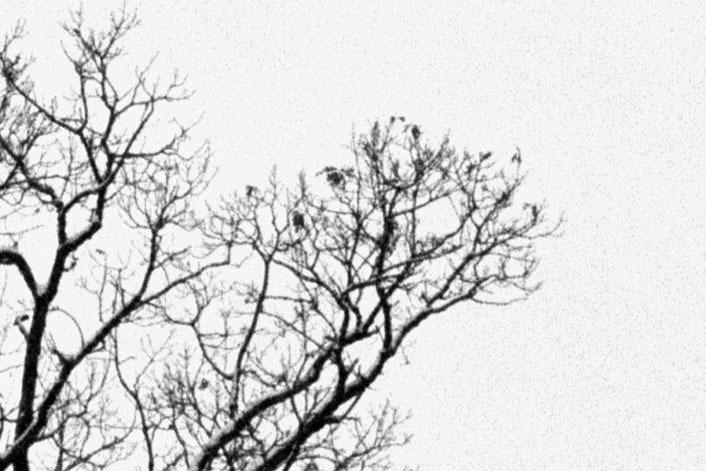 In northeast Indiana the winter months would leave the trees bare and expose their innermost structures of stems, branches and twigs. One one day following a fresh snow I ventured out in search of something to shoot. 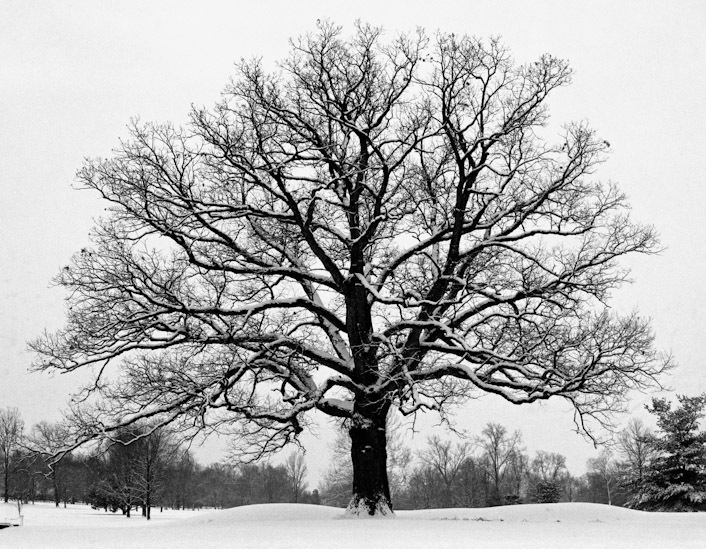 Nearby I found this marvelous oak tree, covered in snow. My original Snowy Tree photograph, taken in the late 1990's. I also took some pictures in some nearly wooded areas of the park. This oak tree caught my eye. This picture came with a surprise. If the man had not moved I might not have even seen him. He was apparently watching what I was doing for a few minutes before moving on. Finally, here is a look at the branches of the Snowy Tree. I love the way the oak branches meander outward from the trunk. Perhaps I will try and come back during another season to see what this tree looks like when it’s covered in green or red. 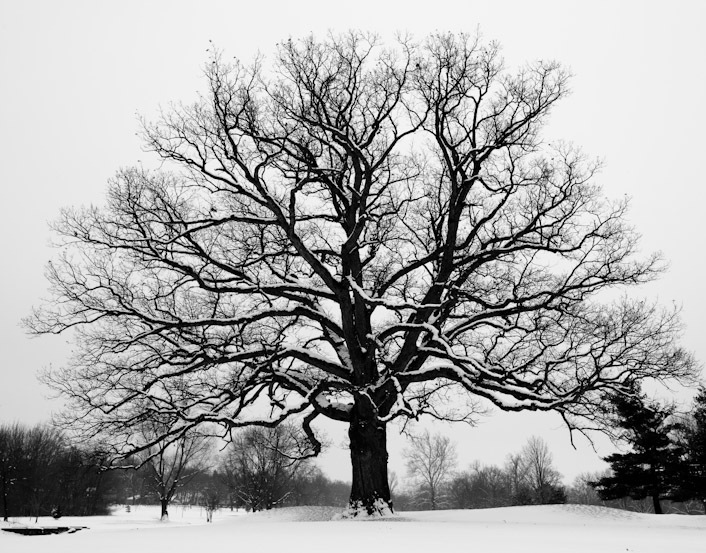 It’s just beautiful to see a large oak like the Snowy Tree after a fresh snowfall.